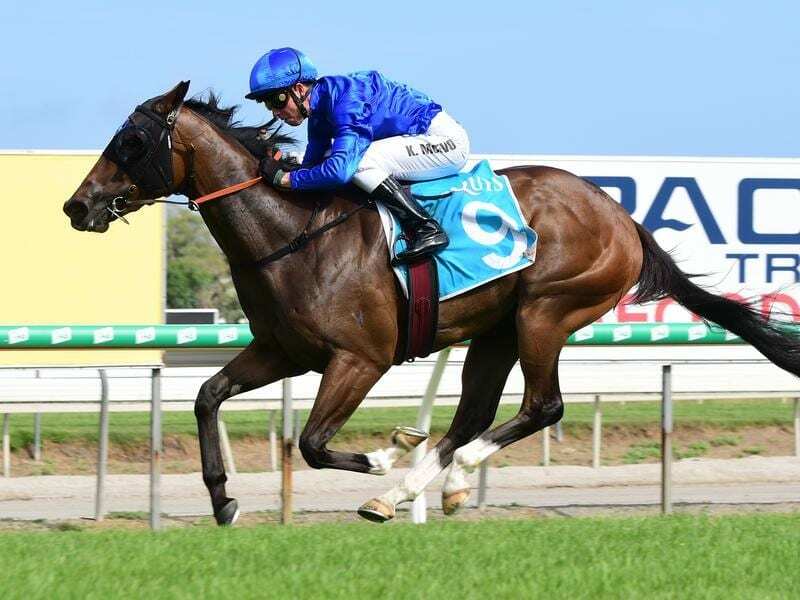 The powerful Godolphin operation is growing in confidence it can announce its arrival as a major player on Magic Millions day with three realistic chances. Godolphin has usually concentrated on home-bred stock and has had only one other runner at the famous Gold Coast meeting. This year Godolphin will saddle up three favoured runners on Saturday – Exhilarates (2YO Classic), Tally (Trophy) and Manicure (Fillies and Mares). Tally and Manicure won their way into their races with wild card wins at Doomben last Saturday week. Exhilarates, a $600,000 Magic Millions buy, earned her way into the Classic by winning at the Gold Coast last Saturday and two days out from the race was at $5 alongside Dubious. Godolphin Australia’s head trainer James Cummings said Exhilarate’s last-start win following a second at Wyong was a pointer to the Classic. “On the strength of her last two runs I think we can rely on her to run well again,” Cummings said. “Even if she’d won at Wyong she would have run again. She needed it not only for the benefit of her fitness, but she got the added advantage of having a look at the track. Exhilarates had a visit to the beach this week and is enjoying life on the Gold Coast. Cummings said Goldolphin was looking to reap the benefits of the hard work put into finding the right yearlings outside the group’s breeding operation. “Buying a yearling and having it turn out as she has is not easy to do, particularly when you appreciate that 3000 yearlings were sold at Magic Millions sales last year,” he said. Cummings said Tally was well-placed in the Trophy and he thought had one run left in the tank. “He and Etymology are our two best older stayers and to be able to breathe a bit more life into them is very satisfying,” he said. Cummings said Manicure was open to improvement from her first-up win . “Her form before that was strong with a second to Houtzen in Stakes grade a couple back,” he said.